Incidence, clusters and specific problems of youngsters with M.E. 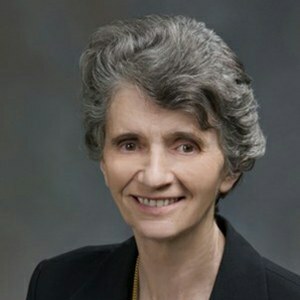 Jane Colby is a former head teacher, a member of the National Association of Educational Inspectors Advisers and Consultants, co-author of the largest study to date of ME/CFS (Journal of Chronic Fatigue Syndrome 1997) showing that this condition is the biggest cause of long-term sickness absence from school, and a medical and educational author for professional journals and patient literature. 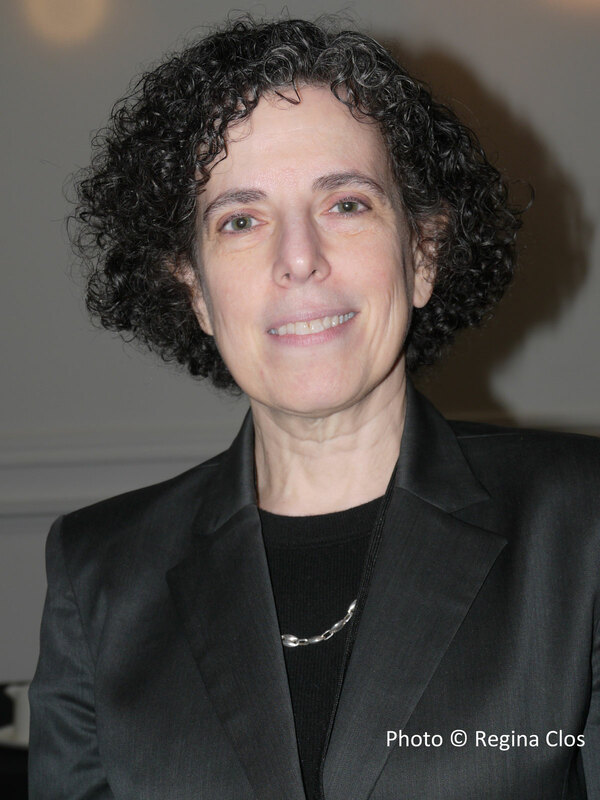 As a member of the Chief Medical Officer’s Working Group on CFS/ME, she played a major role in writing Chapter 5 of the subsequent Report (DOH 2002). 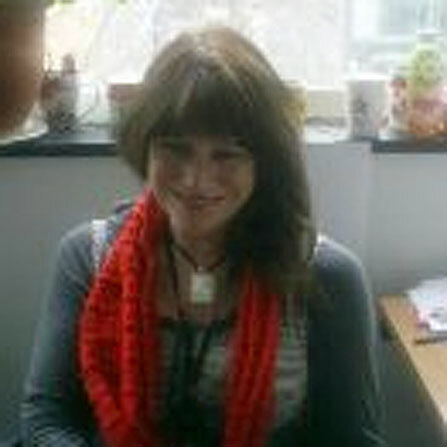 She has been commissioned to write the first book for the education profession on teaching children with ME/CFS. 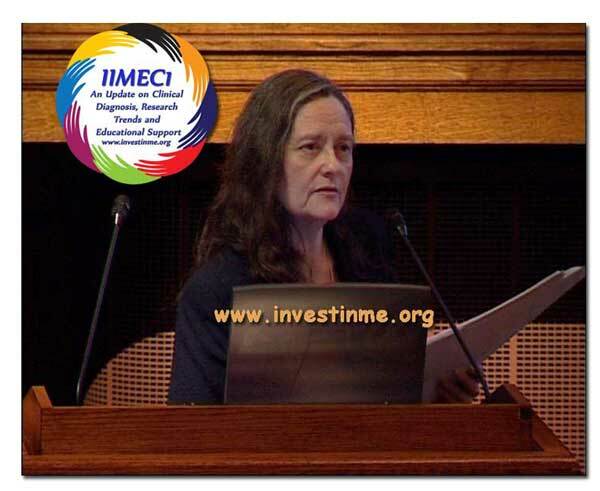 She is joint author of ME/CFS Guidelines for Educational Psychologists (the first such guidelines) published by The Young ME Sufferers Trust in September 2005. 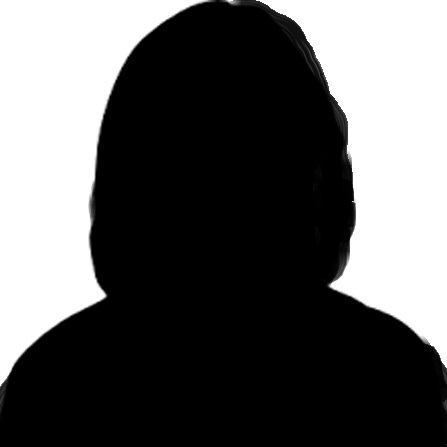 She prepared the questionnaire for the BBC Panorama programme on ME, is author of ME – The New Plague on the relationship between ME and poliomyelitis, and Zoe’s Win (for young people with ME). She recently edited Young Hearts, a book of inspirational poetry by children and young people with ME, with a foreword by Terry Waite CBE. This book was published by the Trust and launched in Warwick Castle by Terry Waite. 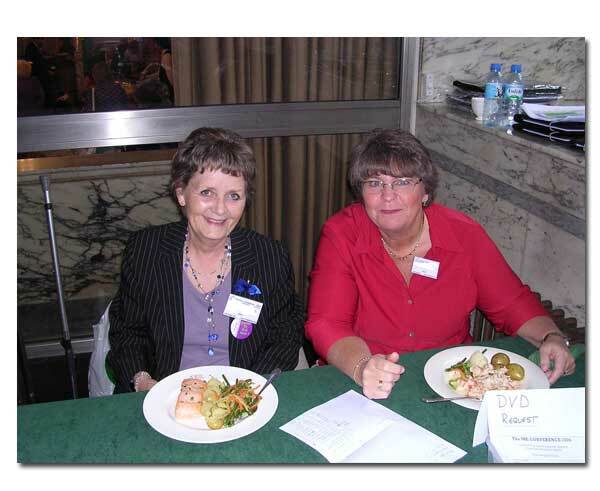 Jane was formerly severely disabled with ME due to a virus related to poliomyelitis. 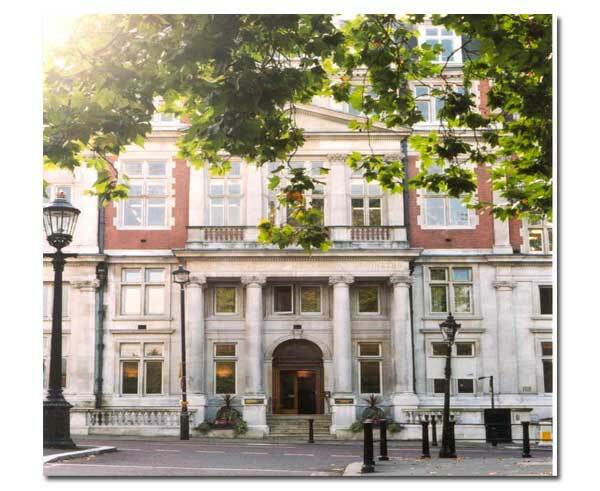 About The Young ME Sufferers Trust The Trust is the longest-running support organisation for children and young people with ME and specialises in education. It runs an Advice Line, a Professionals Referral Service for doctors, teachers and others, and produces VISION, an informative magazine in which children are encouraged to express their views. 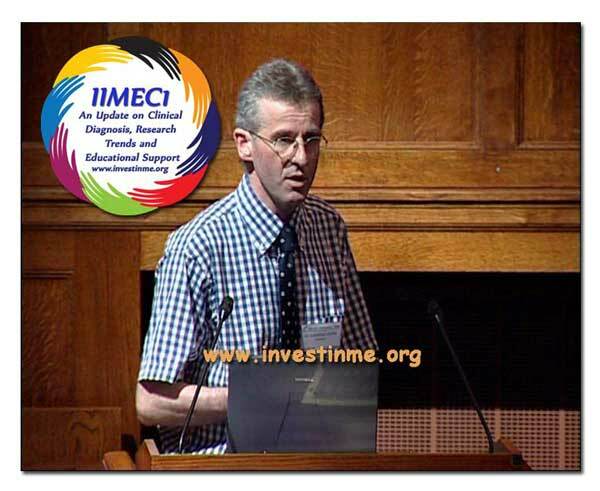 The Trust's publications are available free of charge on its website www.tymestrust.org The Young ME Sufferers Trust works with Nisai Education to provide a virtual classroom for Stage 3 pupils with ME/CFS and free over-16 virtual education for students with ME/CFS in conjunction with the Learning and Skills Council. 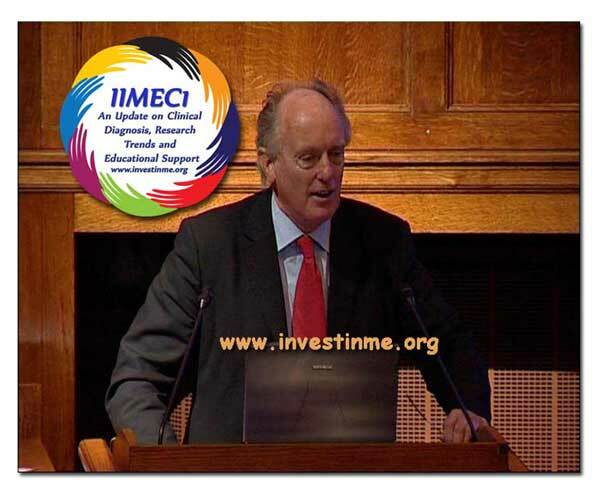 Full information about The Young ME Sufferers Trust including an endorsement by the Prime Minister is at www.tymestrust.org. The Trust’s “Tymes Trustcard” is a pass card for children with ME in school, endorsed on its launch by Education Minister Baroness Ashton and by the Secondary Heads Association and supported by Lord Clement-Jones CBE and Earl Howe. An open and interactive panel discussion allowing questions from the audience. This was an excellent and well attended conference, organized and managed by parents of children with ME. 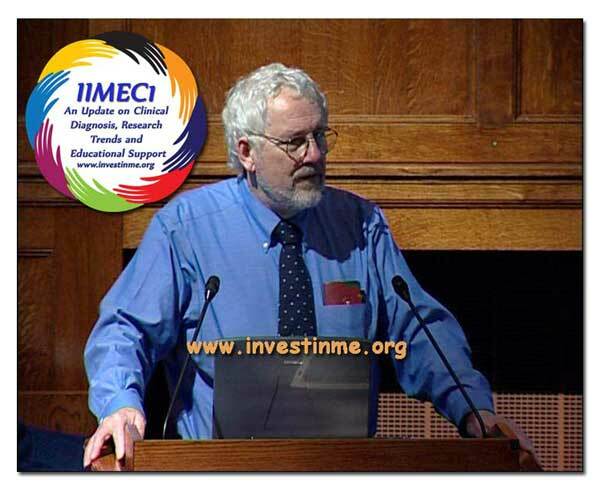 Invest in ME was only formed six months ago. People from around the world were attending this conference. 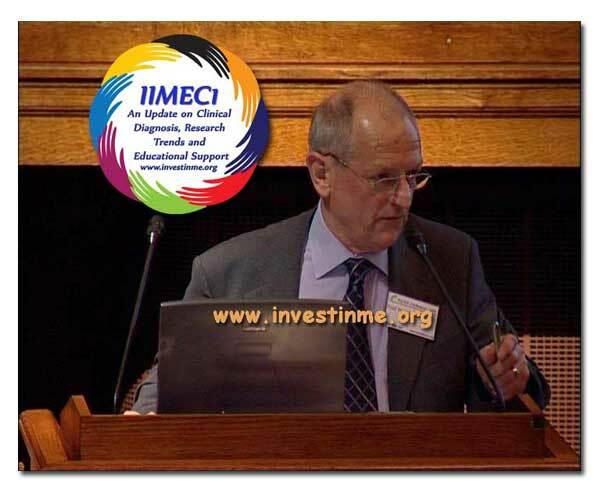 Dr Ian Gibson, MP for Norwich North, reported on progress made with the Informal Inquiry into ME. 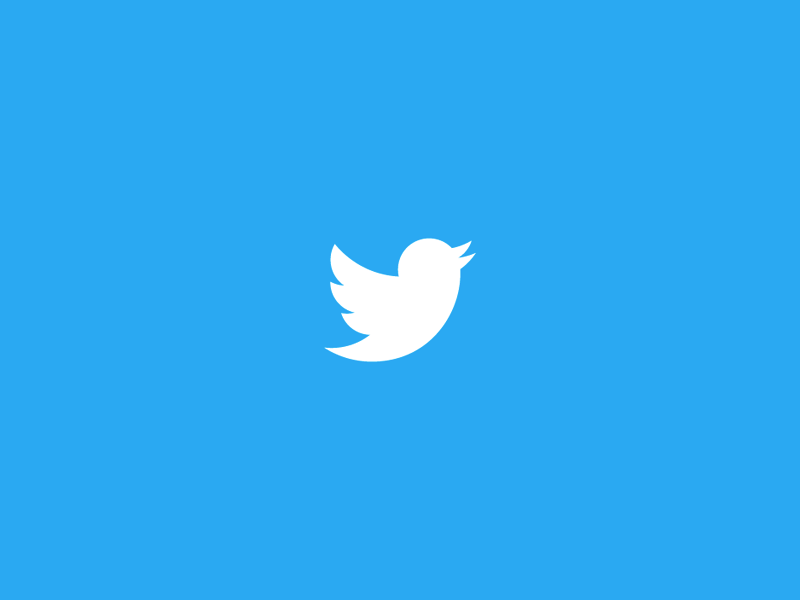 It was necessary to raise the profile of ME – there was much bias. Patient group representatives, Drs. Byron Hyde and Bruce Carruthers had given evidence, and delegates from NICE were asked probing questions. Next they would hear evidence from experts. He hoped that as a result of this inquiry matters could be taken forward. 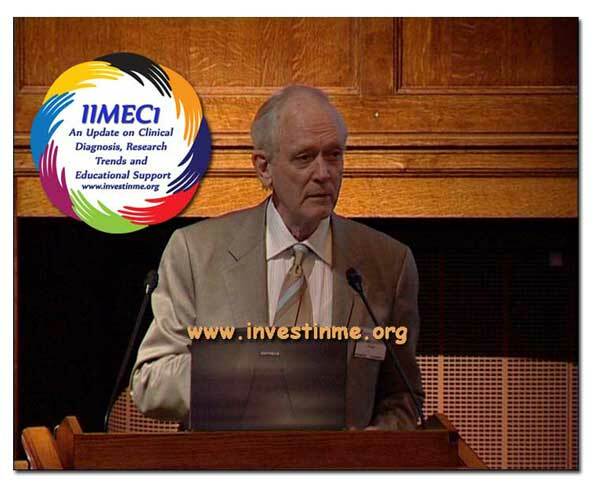 Dr Bruce Carruthers (Canada) spoke about the Canadian Consensus Clinical Case Definition. FM was included in the discussion of CFS. The use of this document in Canada for a few years had made a lot of difference to ME and FM patients. 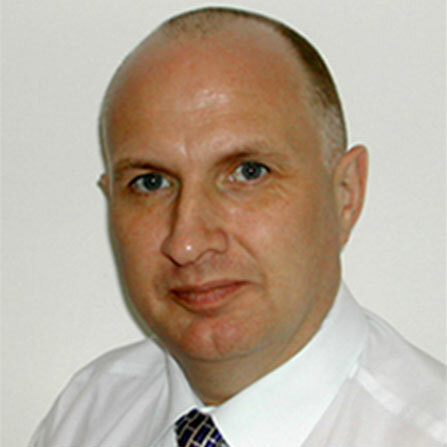 The English clinician Thomas Sydenham was a mentor in devising these new guidelines – he had pioneered with clinical descriptions of cases and diseases, which was the approach taken in compiling the new guidelines. The patient was the focus of attention. He explained how these guidelines work in practice and contrasted this ‘entity focus’ diagnosis briefly with the new ‘non-entity’ diagnosis, which was based on the bio-psycho-social model of illness. 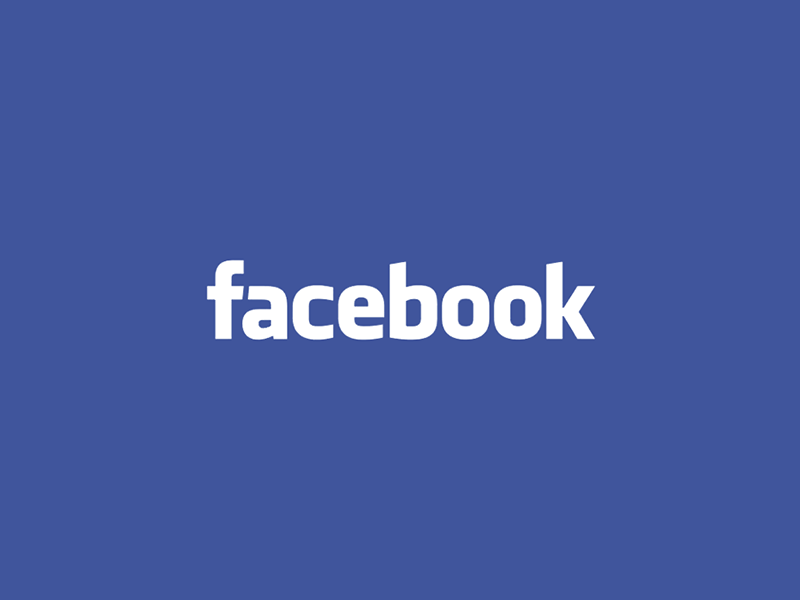 - Copies of the condensed version of the new guidelines were provided. 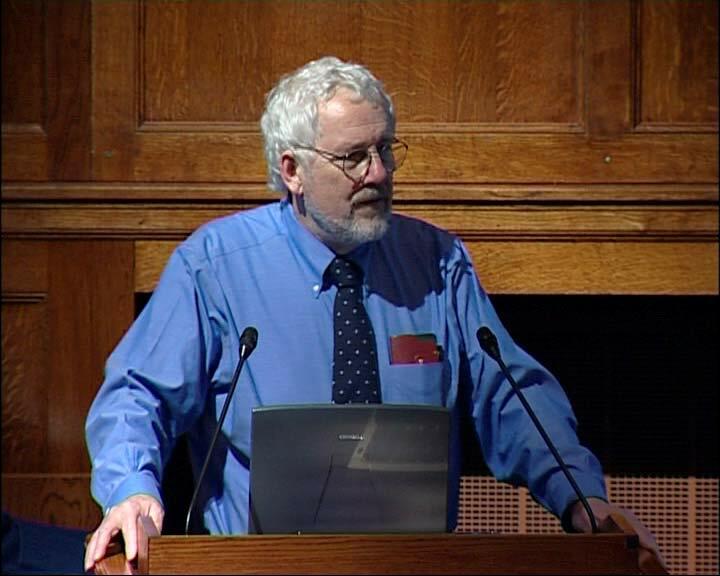 Professor Malcolm Hooper outlined key findings in biomedical research. 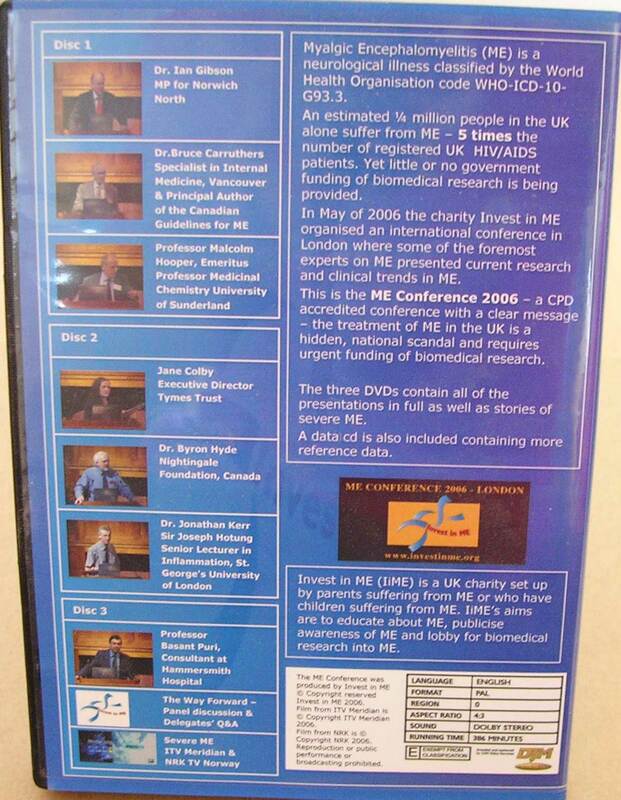 He mentioned three DVDs: His own ‘Engaging with ME’, Dr Vance Spence’s ‘Energizing Biomedical Research in ME/CFS’ and Dr John Gow’s DVD. GWS, OPs, MCS, ME/CFS and FMS were multi-system and multi-organ diseases, involving the neurological -, autonomic -, central + peripheral nervous -, cardiovascular -, immune – and gastro-intestinal systems. These and others are overlapping syndromes. 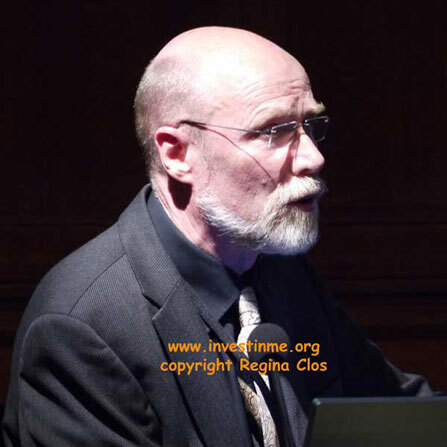 He listed findings from a recent NIH debate on CFS and mentioned the Countess of Mar’s ‘battle’ with Lord Warner over the classification of ME as a neurological disease (under G93.3) by the WHO. 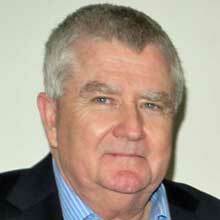 The bio-psycho-social model was based on fraud and ignorance, an Australian paper stated. This and several other articles discussed these issues. 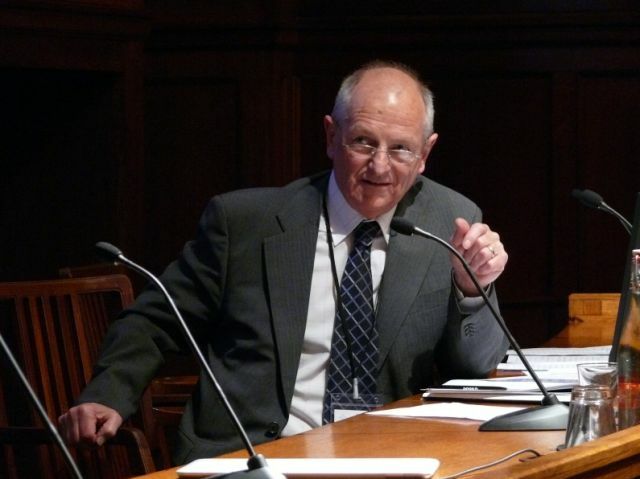 He made a plea for the adoption and application of the 2003 Canadian Consensus Panel Criteria for ME. There was a need for subtypes. Finally he listed a number of crucial books on ME as well as important recent articles. – By any standards, this was a most remarkable lecture. 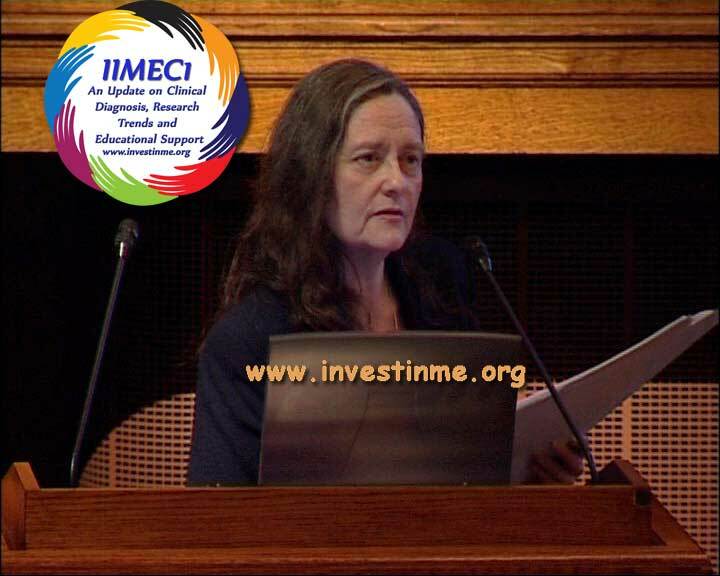 Jane Colby spoke about the Young ME Sufferers Trust (TYMES) and her own experiences with severe ME. TYMES is a registered charity, run by (unpaid) volunteers. 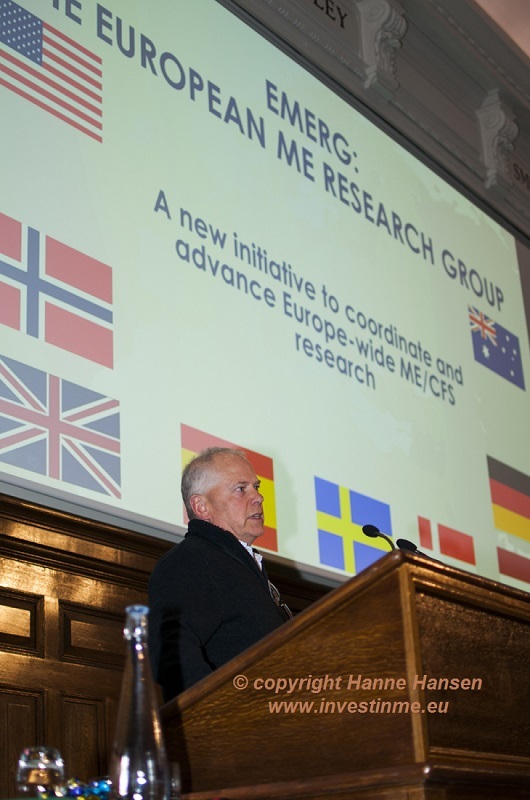 They are now co-funding with MERGE the first biomedical study on children with ME. She described the scale of the problem, the illness pattern in schools, clustering of cases, frequent misdiagnosis and an inevitable conflict between health vs education. ME was a polio-like illness, as shown in her book ‘The New Plague’, triggered by over 70 enteroviruses. An estimated 25,000 schoolchildren are affected by ME in the UK. 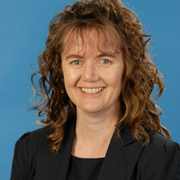 She had co-authored a study with Dr EG Dowsett, which showed that 51% of long-term sickness absence in schools was due to ME. 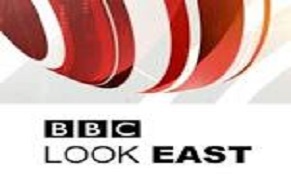 She had also helped with the 1999 BBC Panorama programme, showing how children with ME are being treated: 59% of families were told by GPs that the child’s illness was psychological. Now teachers are being taught about ME in schools. 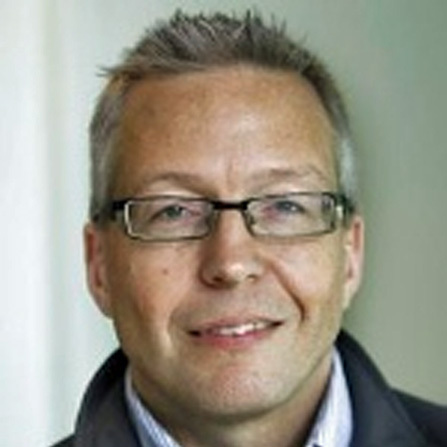 Dr Byron Hyde (Canada) has taken an interest in ME for over 20 years. His charity, the Nightingale Research Foundation, was named after Florence Nightingale, who fell ill with an ME-like illness after the Crimean War. She was bedridden most of the time after return. – He stressed that ME was not the same as CFS. Brain dysfunction was the defining symptom in ME, not fatigue. He had outlined his views and experiences in a red-cover booklet, which was available. He was most critical of the strong psychiatric involvement in ME – none of their theories or hypotheses can be tested, he said. He described the initial inappropriate psychiatric treatment meted out to some of his patients with resultant further problems. Thyroid scans and tests had shown that the thyroid shrinks, in some cases by 2/3rds over a 5-year period. 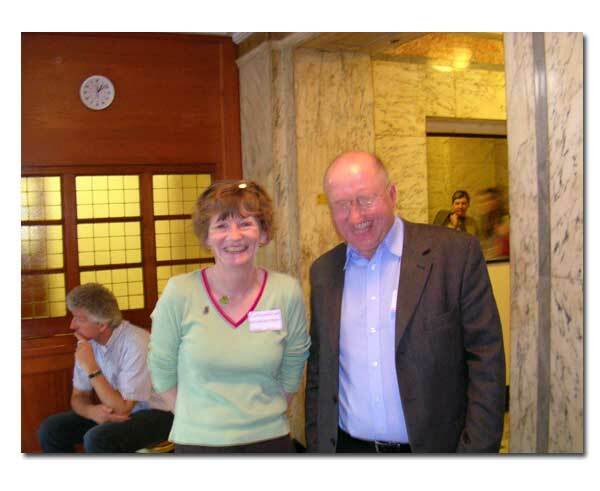 He stressed links between vaccines and ME onset (especially recombinant Hepatitis B) and outlined the situations and locations, which favour the onset of ME: hospitals, schools, exhausted students or travelling musicians. 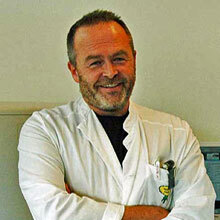 Dr Jonathan Kerr spoke about Functional Genomic Studies in CFS. Using the CDC criteria, his team looked at gene differentiation in 25 ME/CFS patients and 25 normal people. He gave an overview of basic cell processes. 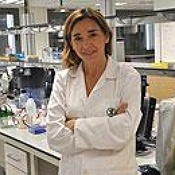 Six key areas of body function are affected, he stated, two affecting the immune system, and others affecting the neurological functioning and the mitochondria. A complex pathogenesis became apparent, which offered support for biological processes in CFS (as opposed to psychological ones). 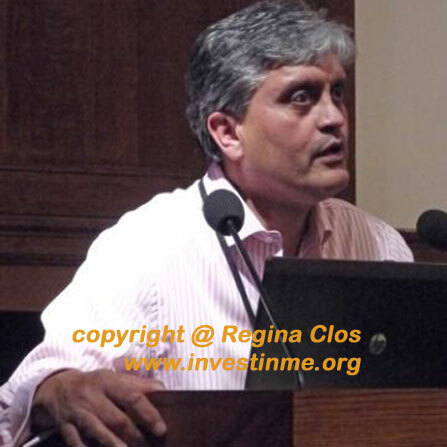 Professor Bassant Puri, known as the ‘fish oil expert’, gave a presentation on lipid neuroscience. He said that Proton Neurospectroscopy, a powerful scanning technique, had identified a differential variation in choline levels in the brains of ME patients, meaning there aren’t sufficient chains of fatty acids. Prostaglandines, cytokines etc all come from EFAs. 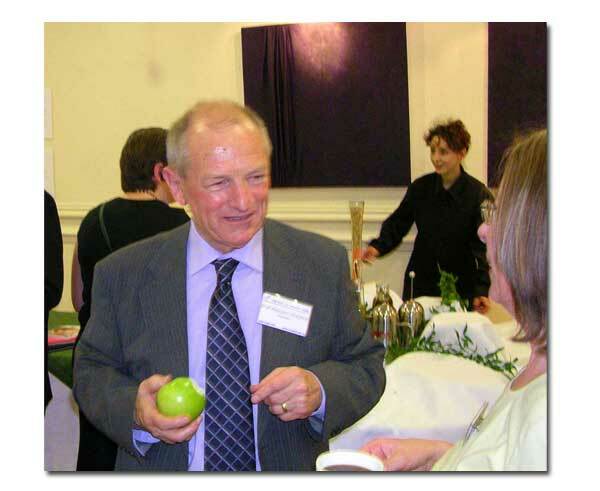 Using VegEPA capsules in conjunction with a nutrient-rich diet had shown good results. The Q+A session raised important issues. Criona Wilson told the harrowing story of her daughter’s death due to medical neglect and mismanagement. 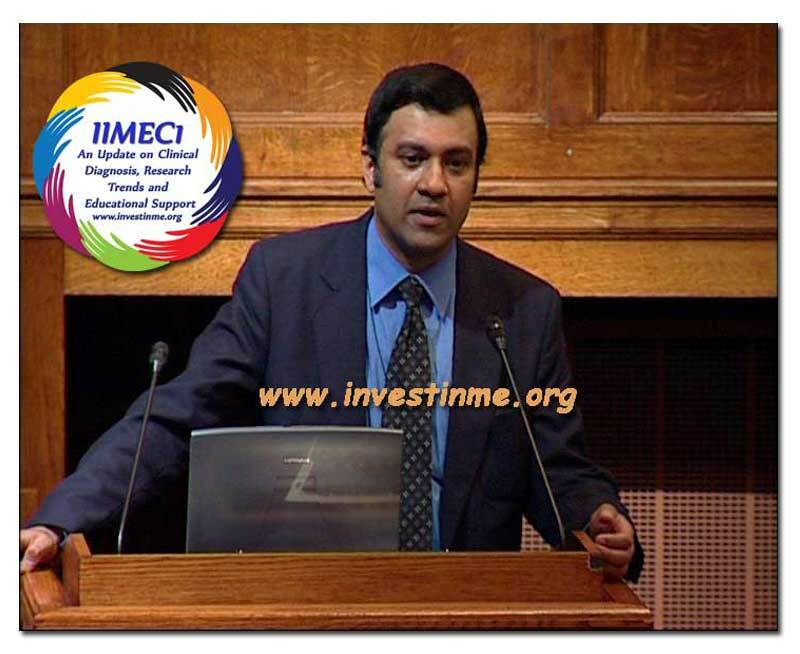 – Invest in ME (www.investinme.org) will produce a DVD of this conference (estimated price £13). 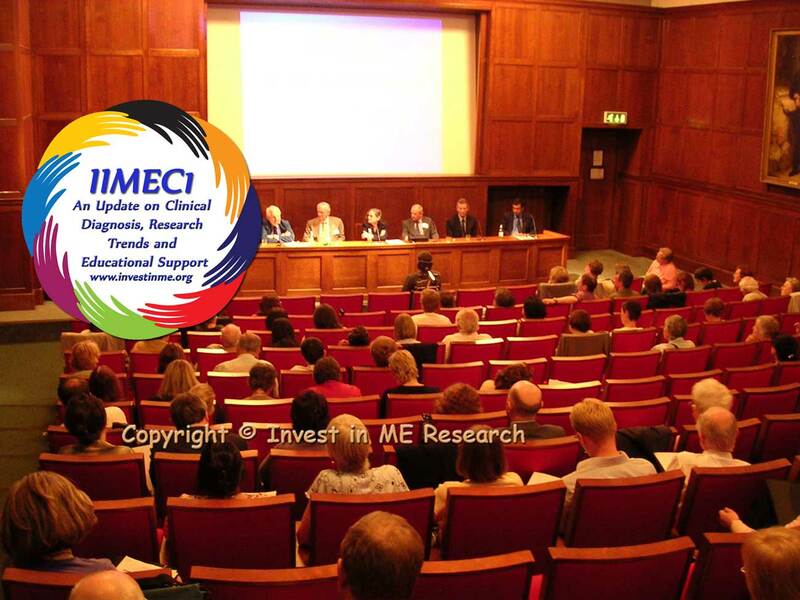 A more detailed report of this conference will be on the 25% ME Group website soon. 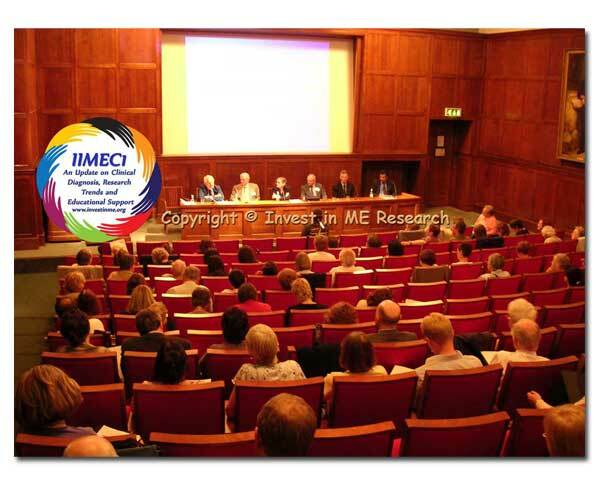 – With thanks to the 25% ME Group for paying the fee for my attending this conference. 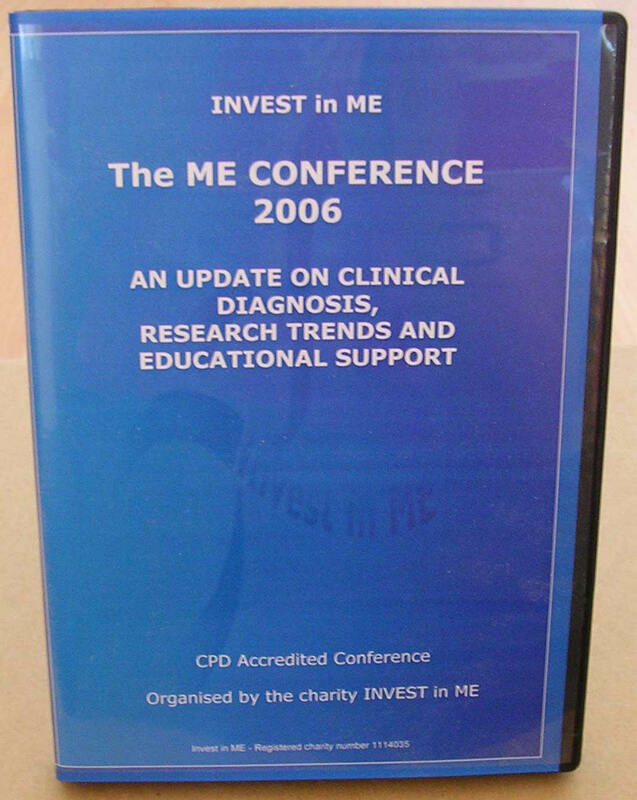 The DVD contains 4 discs and is in PAL format- containing The full set of presentations from the Invest in ME ME/CFS Conference of 2006, plus extra programmes from ITV Meridian and Norway's NRK channel on severe ME. 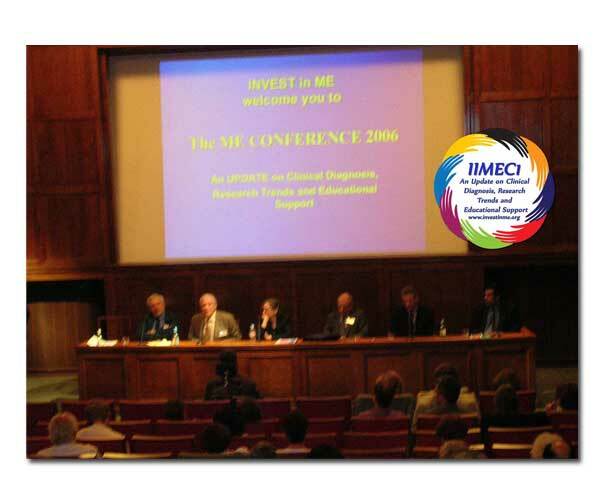 Invest in ME wish to thank the following organisations for helping to sponsor the 1st Invest in ME International ME Conference 2006.